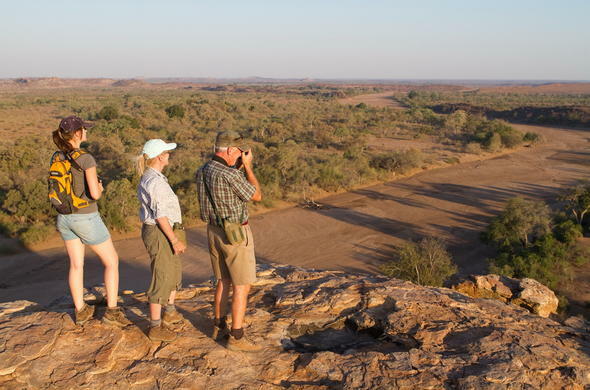 This Tuli to Kruger Safari Package is a definitive 7 day Classic Big 5 Safari, combining Tuli Block in Botswana with a private reserve between Kruger Park and Sabi Sands in South Africa. 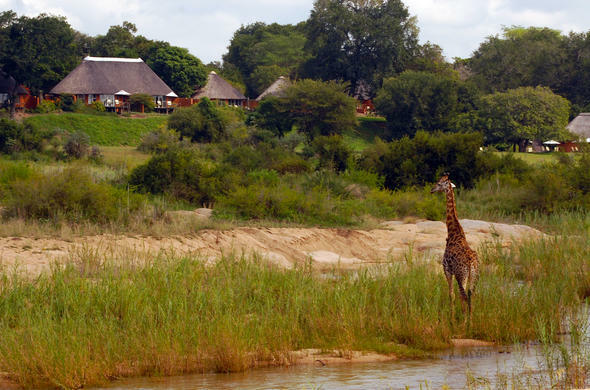 This Fly-in Safari Package includes flights ex/to Johannesburg. This Tuli to Kruger Safari Package takes you on a Big 5 adventure into premier game viewing territory. The majestic Northern Tuli Block in Botswana overwhelms the senses with its spectacular landscapes and exceptional wildlife. Tuli is home to Elephant, Lion, Giraffe, Eland, Ostrich and Kori Bustard as well as the Baobab Tree - a range of species that aptly demonstrate why this area is called The Land of Giants. Here, you'll enjoy traditional safari creature comforts and some of the most exciting game drives in Africa. After the first 3 nights you transfer south to a private game reserve located along a stretch of the Sand River in South Africa. This unfenced tract of land between Kruger National Park and the Sabi Sands Game Reserve provides an unhindered pathway for wildlife to move freely to the river. 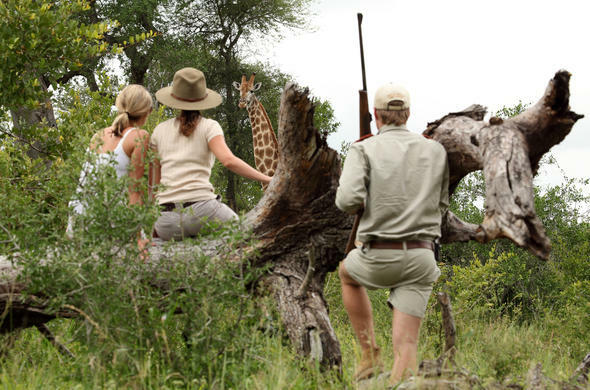 You'll experience outstanding Big 5 game viewing and no 2 days will be the same. The bush camp is a long time favourite for many guests and offers superb service. From Johannesburg you will take a scheduled flight to Polokwane Airport, followed by a private road transfer to the Mashatu Game Reserve area of Botswana's Tuli Block. After a welcome and check-in at your safari lodge you will have time to refresh and enjoy High Tea on the terrace overlooking the waterhole. 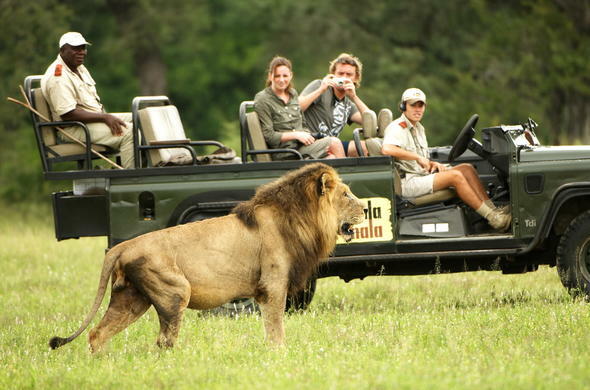 In the afternoon you can embark on a game drive accompanied by an experienced game ranger and tracker. You'll get your first glimpse of the rich variety of game and prolific bird life that abounds in this area and also stop for sundowners along the way. On your return, dinner is served around a log fire in the atmospheric boma (open-air enclosure). Your spacious suite is located in a private setting and you will have a real sense of being in the bush. You'll wake to the sounds of the wilderness and the excitement of a new day filled with promise. This private reserve in Tuli is a place where the soul of Africa really comes through, where even the giant Baobabs and Elephants are dwarfed by the wilderness. Activities during your stay include early morning and evening game drives, guided bush walks and dining out under the African stars. There is a pool for refreshing swims in the heat of the day and the Discovery Room which holds relics and animal specimens which are sure to fascinate and educate you. You'll enjoy delightful home-made treats and a celebration of traditional African cuisine at this bush camp in the Tuli wilderness. After your morning game viewing experience and breakfast, you will take a scheduled charter flight to the airstrip at the private game reserve in the Greater Kruger Park. Once you have arrived in the Greater Kruger Park you will be met and transferred to the bush camp situated along the Sand River, where you'll spend the next 3 nights. You will arrive in time to enjoy the afternoon game viewing activity, which includes sundowners at a scenic spot along the way. You'll return to the safari camp for a delicious dinner under the starry night sky. 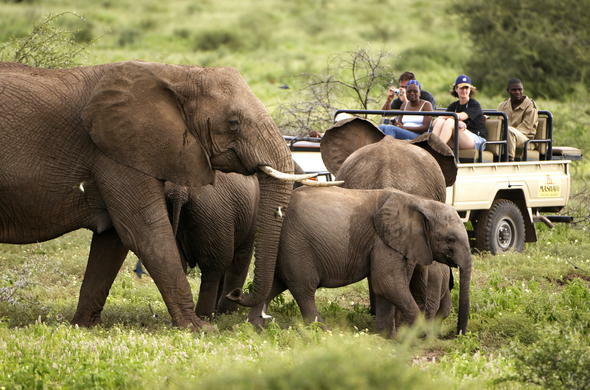 Each day at this private game reserve in the Greater Kruger Park is a new adventure. 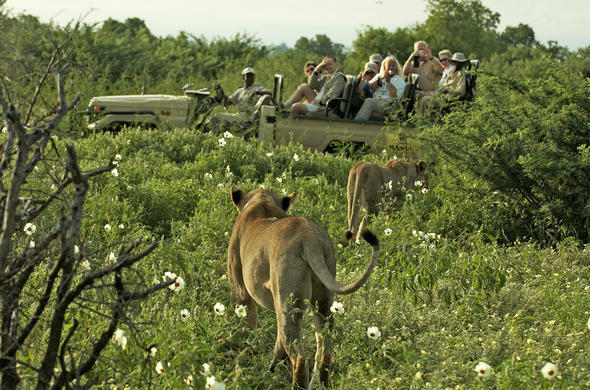 You'll enjoy exhilarating game viewing opportunities combined with a chance to relax and refresh the soul. Your safari experience revolves around the phenomenal wildlife in this pristine wilderness and is complemented by the safari camp's fine cuisine and service. Game drives and guided bush walks are offered at the cooler times of the day for the best game viewing opportunities while the animals are active. You can discuss your activities with your ranger who acts as host, guide and educator. Game drives with 6 guests per vehicle are conducted in 4x4 safari vehicles, which enable the rangers to travel off-road and give you a ring-side seat for wildlife viewing. On night drives, a powerful spotlight is used which brings the bush to life. In between excursions into the bush, you can take advantage of the camp facilities which include a library and media centre, infinity swimming pool and gym. A massage therapy service is available on request or you could simply retreat to your air-conditioned suite for a siesta. This is the final day of your Classic Big 5 Safari Experience on the Tuli to Kruger Safari Package. You will be able to enjoy one last early morning game drive and breakfast before it is time to depart, taking wonderful memories with you of your African safari. You will catch a light aircraft charter flight back to Johannesburg O.R. Tambo Airport, to arrive around midday. This 7 day Classic Big 5 Safari Experience Package is based on a minimum of 2 passengers travelling together sharing a double room. This Botswana safari package can also be combined with other destinations in South Africa or an Island holiday in Mozambique. Please ask our consultants for options.